Born Nathaniel Rathbun, he is an electronic music producer and DJ who creates music of the house and trance genres. His 2015 single "Insomnia" topped the US Dance Charts and his 2014 album Elysium charted at #65 on the Belgium charts. He first started creating music in 2008 in his hometown apartment. 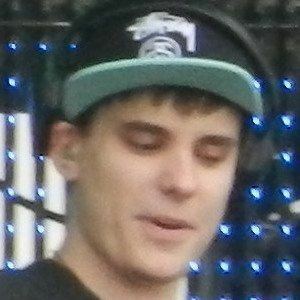 He was signed by Flashover Recordings who released his debut single "Rise & Shine" in 2009. Above & Beyond performed his song "Eventide" at the 2012 Electric Daisy Festival in Las Vegas. He was born in Mystic, New London County, Connecticut. He has dated Katy Lou. Tracks of his have appeared on compilations by Tiesto, Above & Beyond and Armin Van Buuren.